Head to Amazon.com where there is a huge Kids Crocs Sale! These are just a couple of the deals I spotted, be sure to head on over to find your favorites. (By the way, I noticed sizes are selling out quickly so if you find pairs that you love I would not hesitate). 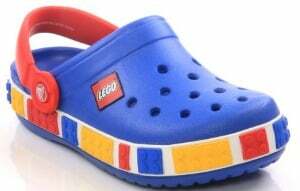 For your LEGO lover you can pick up this crocs Mamth LEGO Clog for just $14.48 (Regularly $39.99) with FREE Super Saver Shipping! You can also grab this crocs Kids Classic Clog that comes in a variety of fun colors and sizes for both girls and boys for only $19.23 (Regularly $25.95) with FREE Super Saver Shipping! Happy Shopping!